Posted 28 January 2019 under Ask Us. Good question! As long as you are eating plenty of fruits, vegetables, whole grains, and dairy then you likely do not need to take a multivitamin. However, if you are vegetarian or vegan, you might not be getting enough vitamin B12 or iron. If you don’t tend to consume dairy such as milk, yogurt, or cheese, then you might not be getting enough calcium or vitamin D. As a growing young woman these nutrients are extremely important to your bone health. 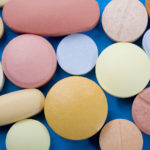 The best way to know whether or not to take a multivitamin is to talk with your health care provider or a dietitian who can analyze your diet to see if any important nutrients might be missing. Generally speaking, multivitamins are not harmful, so the only harm in taking one if you don’t need it is the money it costs to purchase.